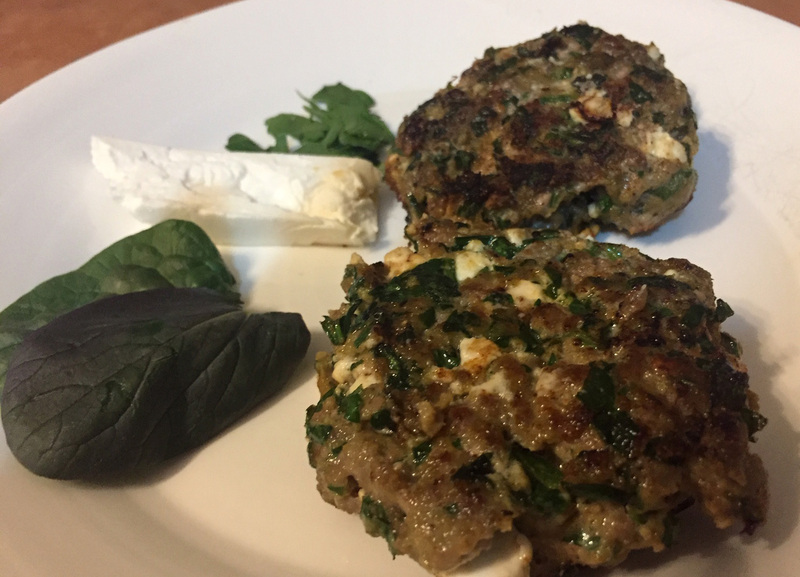 What is great about these Beef Spinach and Feta Rissoles besides the delicious flavour, is that they are filled with fresh parsley and spinach. But instead of detracting from the flavour, it amplifies them into truly tasty morsels and increases their health benefits. Even those hardened meat eaters who want a plate of meat, one miniature vegetable, and bucket loads of tomato sauce will actually forgo the tomato sauce – these babies simply don’t need them. They also go beautifully served with a green salad. Best of all, this is a super easy and fast recipe that tastes delicious. Easy fast delicious rissoles. You can also pat them completely flat to become a hamburger. OPTIONAL: Greek Yoghurt and Lemon Wedge to serve with rissoles - you can also serve with, a green side salad. Cook about 4 minutes each side on medium heat or until cooked through. Serve rissoles with a dollop of greek yoghurt, fresh lemon wedge and side of green salad.